Social Media, undoubtedly, is one of the most important things in our lives today, at least in the lives of urban population and the penetration in rural areas is significant. Social Media has started impacting our everyday life and even the daily routine is being affected, however, measuring if the impact is good or bad will differ from people to people. The characteristics of people using social media are distinct as compared to those who don’t and these characteristics, if understood and applied in real life can yield results for businesses. Individuals have started switching to social media for almost everything from ranting about India's loss in a cricket match to trolling KRK for almost anything that he does, from appreciating the efforts of army to political criticizing and among all these things which has turned out to be a winner is social selling. What is social selling? How it happens? Who does it? 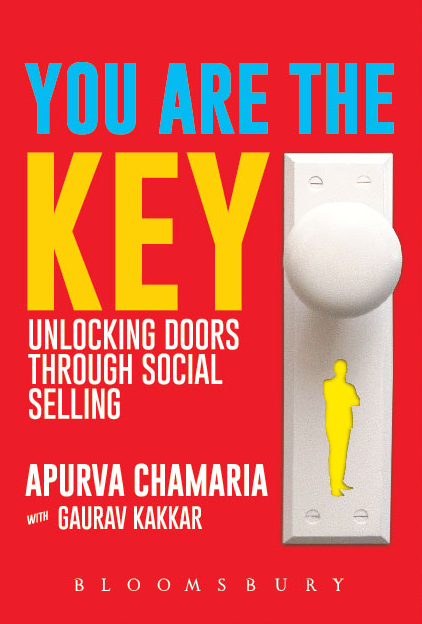 And all other questions related to it are answered in the book You Are The Key - Unlocking Doors Through Social Selling written by Apurva Chamaria who works as the global head of Brand and Digital Marketing for HCL Technologies with Gaurav Kakkar who heads the Digital Marketing for HCL. 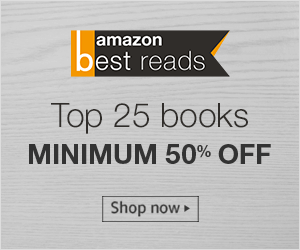 The book addresses various aspects of social media selling ranging from its predecessors evolution to the existing phenomenon of enterprise social selling. At the onset, the book starts with structured information about the idea and evolution of selling and the prototype changes that have come into existence from the age old barter system to the modern day social selling. As we proceed, prominence shifts to answering all the WH-questions related to social selling and focuses on all three aspects of it, i.e. the technology side, client side and the seller side. You Are The Key - Unlocking Doors Through Social Selling also talks about different platforms playing a vital role in the process of social selling and centers to the importance of creating the social media persona for both, business and individual as people talk to the humans behind the brand and not some robot. It is said that content is king, and to prove this saying correct, required importance is given to the process and mechanism of curating content, creation and publishing of the same. There is also an equal focus on tools for content marketing and emphasis on the entire customer buying process. Customers these days buy from brands that are social, responsive and build trust along with brand loyalist. These people then become a part of a niche community that can influence others as well and identify to such prospects, brands need to first listen to them, engage with them and then take according measures. The book overall is very informative and written in a very simple, easy to understand language. It will help a lot of businesses looking to expand on social network and thus increasing their sales. It is an ideal book for aspiring social media professionals, but this book may not be enlightening for existing digital marketing professionals. I would recommend this book to people looking to understand the nuances of social media and social selling. The book is written by experts can make enthusiastic marketers a professional social selling expert.